There is nothing better then coming home after a long day of exploring to a hot, home cooked meal ready to eat. Or, fill the pot in the evening and let it cook overnight for a delicious breakfast or lunch. 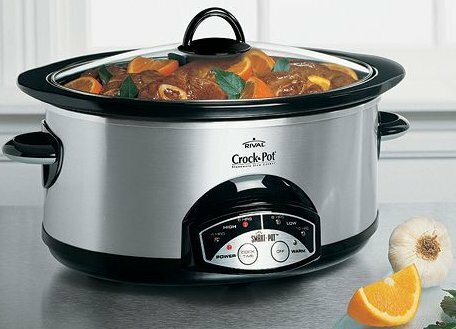 We all know that home cooking saves money, but did you also know that crock-pot meals can be incredibly economical? That’s because dishes cooked in a crock-pot often use cheaper cuts of meat, frozen vegetables, and inexpensive pantry staples like dried rice and beans. Simplify meal time with RV crock-pot cooking. From stews to deserts and nearly everything in between, crock-pots make delicious meals with little effort.